Niko is a young professional in the field of international relations and policy making. 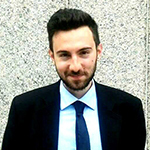 He holds a Bachelor’s degree in Languages and International Relations from the Ca’ Foscari University of Venice, Italy, and a MA in International Relations with Political Strategy and Communication from the Brussels School of International Studies (University of Kent), which he achieved with a compelling dissertation on the effects of the use of national identity in the Greek-EU negotiations of 2015 and awarded his degree with Distinction. His strongest theoretical expertise ranges from linguistics to foreign policy analysis, and from cross-cultural negotiations to discourse analysis. He applies the theoretical tools to provide close insights on Mediterranean, European and Latin American relations, the effects of national identity on international relations, the role of non-state actors in foreign policy making, cultural diplomacy and transformative mediation as a peaceful tool for conflict resolution. Niko collaborates with Katoikos.eu as a writer and commentator on foreign policy. Besides, he also participates in NGOs that promote democracy and transparency by advising communication and lobbying strategies, and has been collaborating as fundraiser and facilitator for Cometa ASMME, an Italian NGO fostering research and assistance on metabolic disorders. He has also worked in the international law firm Todarello & Partners (Milan, Italy), which enabled him to do legal research and refine bargaining skills. Apart from Italian, he is fluent in English, Spanish, Greek and has a fair understanding of French, while is learning Arabic. Niko is also a polyhedral musician and plays four instruments excellently. Since late 2016 he collaborates with KEDISA as an analyst. Evangelos holds a master degree in European Foreign Policy at the Katholieke University of Leuven (KU Leuven) in Belgium with emphasis on the EU relations with regional and international organizations, the Russian Federation as well as the sector of security and geopolitical importance of the EU neighbourhood. He holds a Bachelor degree in International Studies from Leiden University focused on economic, political, social, cultural forces in the geopolitical and geoeconomic agendas of states. His specialization during his bachelor focused on global affairs, terrorism-antiterrorism and geoeconomics. He has been an assistant on the Human Resources, a Public Relations coordinator as well as marketing intern at the SAS Institute Business Analytics. During his studies at Leiden University, he chaired the social committee while his consultancy analysis on water market in Brazil on behalf of the oil comany Shell achieved the 1st place on the university competition. He has also interned at both the Consulate and the Embassy of the Hellenic Republic, located in the Hague where he covered administrative issues and analyzed the trade between Greece and the Netherlands, respectively. During his military service in the Hellenic Navy’s radar unit in Rhodes island he covered the south sector of the Aegean Sea and as a result he got acquainted with crisis management tools while receiving an honorary award by his commander for his exceptional service. 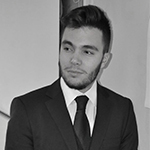 Last but not least, he is the External Relations sector manager for the democratic youth municipal party of “Korinthos 2014-2019”, a sign of his increasing interest in connecting European, regional and local cooperation and competitiveness. Dimitris is a graduate of the department of International, European and Area Studies at Panteion University and an assistant researcher at the Institute of International Relations in the Center for Euro-Atlantic Studies since 2014. He speaks fluently English and possesses significant knowledge of French and Italian. Furthermore, he is a probationary member of the Hellenic Society for International Law and International Relations and a founding member of the Theseus Chapter SHJ002 of the Sons of Pericles in Athens, the youth brotherhood of the Order of AHEPA. He has participated in simulations of the UN (MUN), NATO and the EU institutions (MEU), and has attended numerous conferences and seminars in the field of international relations and strategy. He has developed voluntary actions on environmental issues and philanthropy. His scientific interests include the theories of international relations, foreign policy, strategic studies, crisis management, defense and security. Olamide holds a PhD in Security and Intelligence Studies from the University of Buckingham. He developed an analytical theoretical framework, which grants constructivist insight into National Security Policies, within Security Studies. 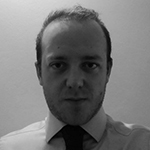 He is currently a Teaching Fellow in International Security at SOAS University of London. He earned his B.ILD degree in International Law and Diplomacy in 2013, from Babcock University, Nigeria, where he specialized in researching on the global emergence of Private Military and Security Companies, International Criminal Law, International Business Transactions and Negotiations. He subsequently earned his MA degree in Security, Intelligence, and Diplomacy from the University of Buckingham, England, where he specialised in Information Technology and Intelligence Systems, Counterterrorism, Risk Analysis, Situational Crime Prevention, Intelligence Analysis, Commercial Diplomacy, Intelligence Tradecraft and machinery, Cyber Intelligence Operations and Foreign Policy Analysis. Olamide currently holds membership of the Nigerian Society of International Law, and is also a member of the International Studies Association. Dragan was born in Belgrade in 1985. He has completed undergraduate studies at the Aristotle University of Thessaloniki, School of Political Sciences, as a scholar of Ministry of Foreign Affairs of Hellenic Republic. During the academic year 2015/16 he attended Goethe University in Frankfurt as an exchange student, reading for postgraduate modules in Sociology of Financial Markets, Research Design, Banking in the New Normal and Big Data Technologies. Ηe worked as a marketing consultant for Belgrade-based microenterprise and as a guest economic analyst for Radio Belgrade 1, covering a number of events of critical importance for the world economy, including Greek crisis, bail-in in Cyprus and macroeconomic developments in European Monetary Union. Currently Dragan follows Postgraduate Specialization Program in Political History and Strategic Studies at the Aristotle University of Thessaloniki. His research work mainly focuses on the interplay between political and investment risk, with the emphasis on elevated possibility of conducting political warfare when both risks are high. Other research interests include: Monetary Policy Strategy, Commercial Banking, Sociological and Political Perspectives of Big Data, Artificial Intelligence Policy. He is fluent in Serbian, Greek and English, and speaks German and Russian as well.